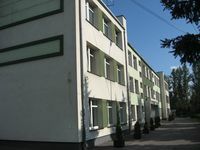 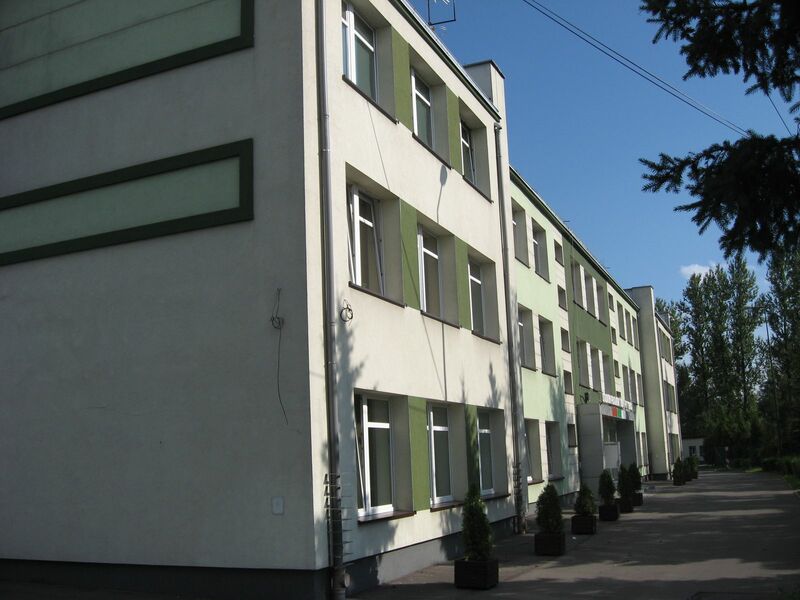 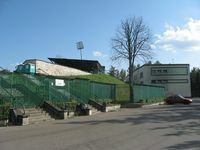 When it was built in 1956, it wasn’t even located in Sosnowiec, but in Szopienice. 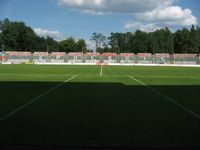 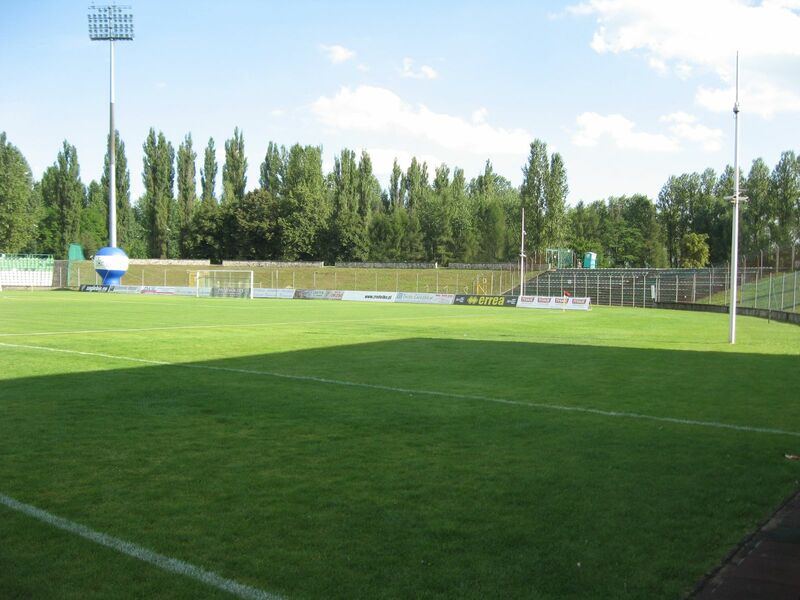 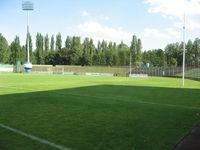 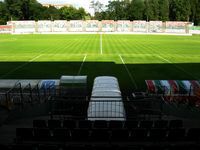 It wasn’t until Szopienice became a district of Katowice and lost some territory to the city of Sosnowiec that the ground became part of the latter. 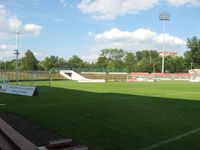 Wherever it would lay, though, it was always planned as a central stadium for Zagłębie Dąbrowskie industrial region, neighbouring Upper Silesia. 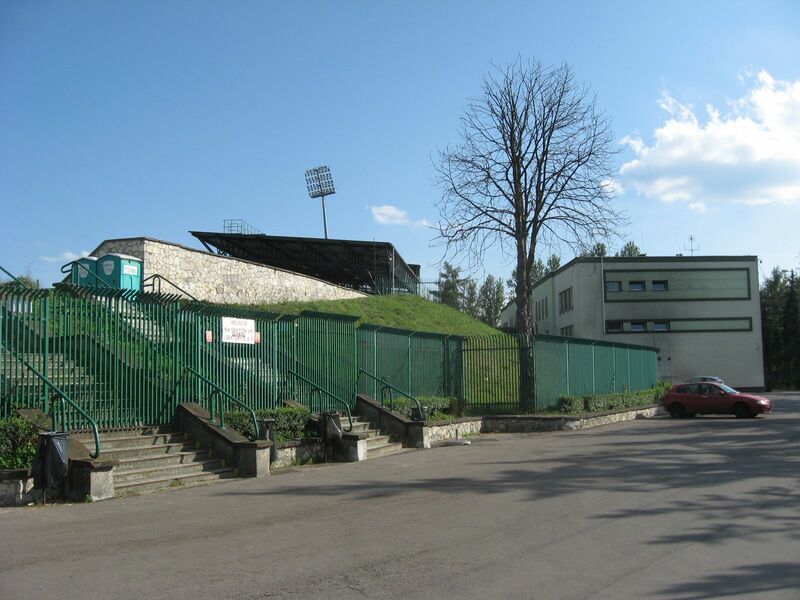 Along with the early socialist policy it was built as a massive single-tiered bowl based on artificial land slopes, with the name Ludowy (People’s Stadium) also sounding to the tone of political ideas of that time. 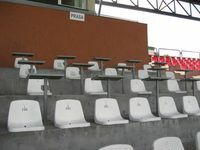 The very first game was attended by 40,000 people, but that crowd wasn’t matched at any other event at the stadium. 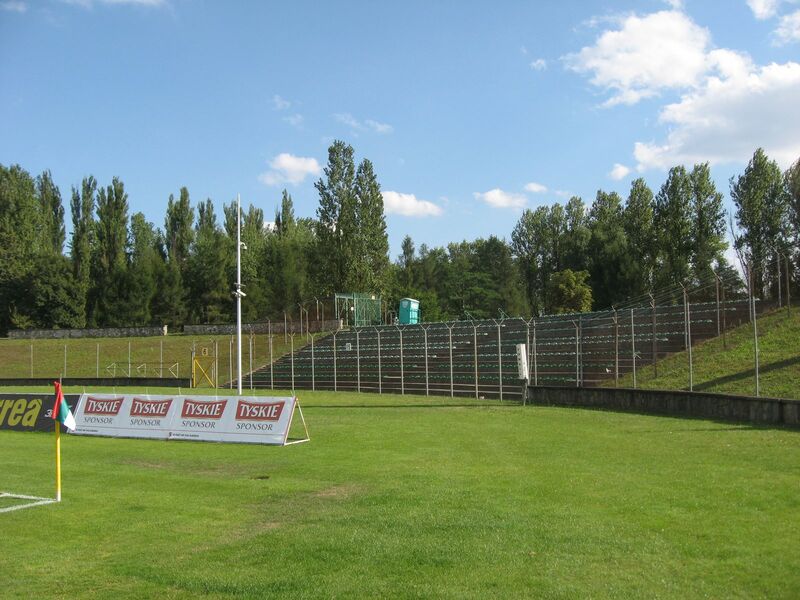 Over the years most sections of the stands have been ‘reclaimed’ by nature, overgrown with grass. Only parts left were a modest main grandstand in the west and vast terracing in the east. 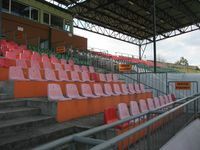 Back in 1980s and 1990s crowds of well over 10,000 could be accommodated, but with seating installation the size decreased to 7,500. 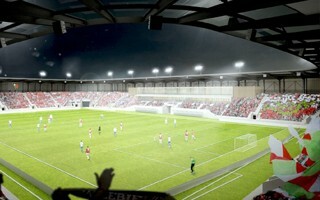 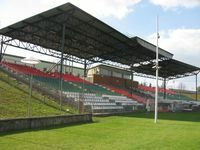 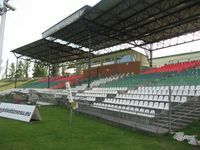 In 2007 the main stand received a roof, while the stadium saw its first games with floodlights. 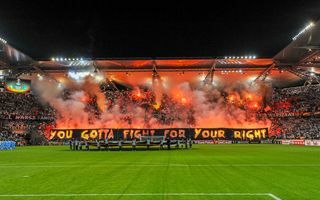 This came in an attempt to modernize it, but it only went as far as to meet minimum requirements for top tier football. 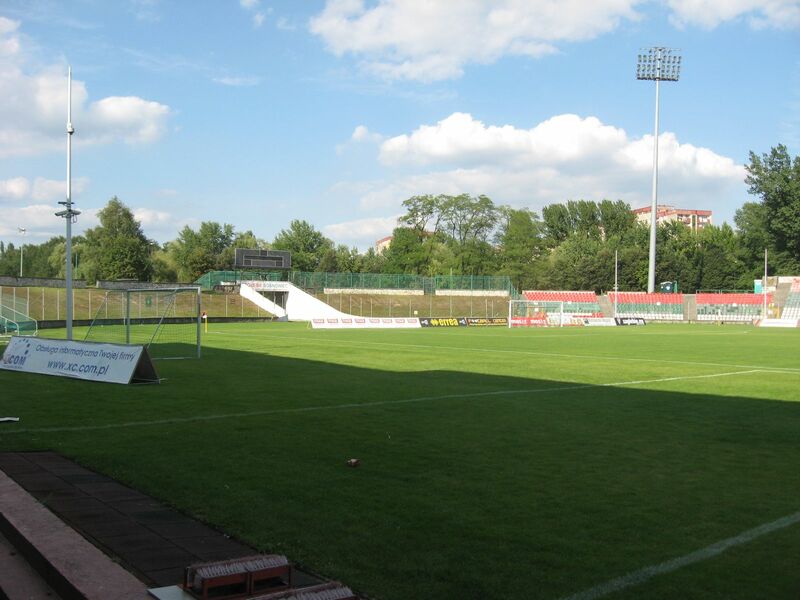 Thanks to that level being achieved, both Krakow-based clubs playing in the Ekstraklasa, Wisła and Cracovia, played their home games here when their stadiums were being completely rebuilt. 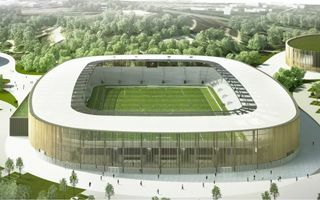 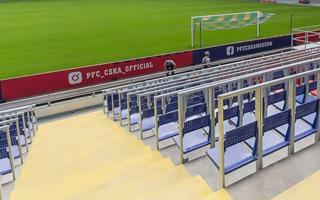 Eventually the stadium is to be torn down and rebuilt as well, but two concepts presented by authorities, one by Dutch Zwarts & Jansma and one by Polish APA Kuryłowicz, were scrapped before any work started. 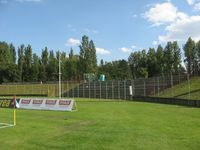 The city of Sosnowiec decided to cancel tenders for its new indoor arena and ice rink. 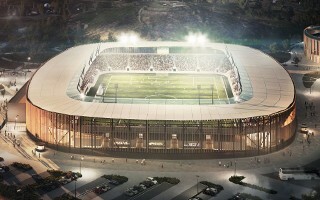 However, the stadium between two cancelled buildings might still get delivered as planned. 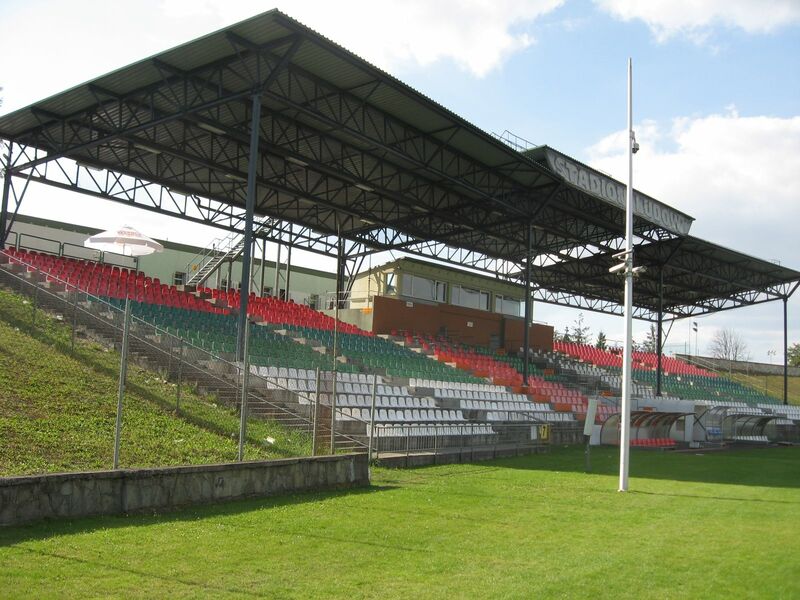 Tender is about to see its final soon.